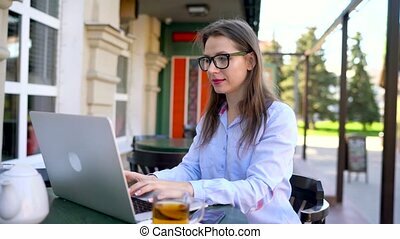 Beautiful young business woman sitting in a cafe with a laptop. 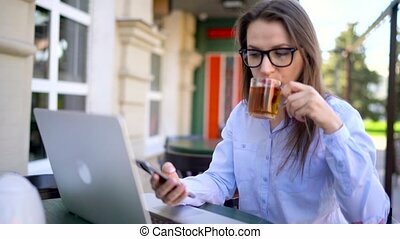 she works at the computer, drinking coffee. 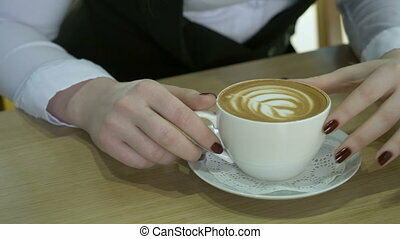 Young woman sitting in a cafe with cappuccino. 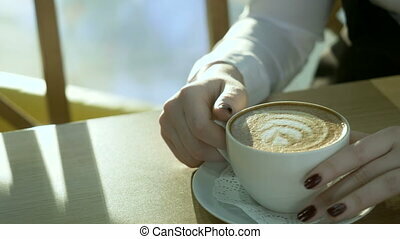 Coffee close-up. 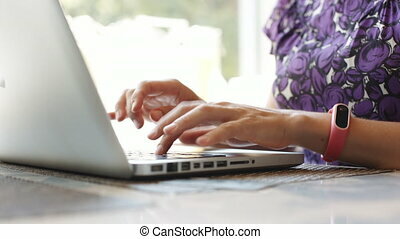 Anonymous woman working with laptop in a cafe. Close-up. 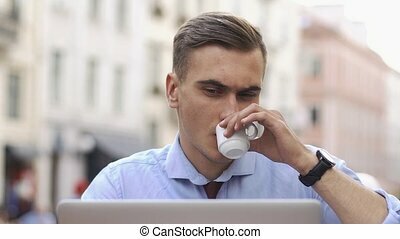 Man works with a laptop sitting in cafe. 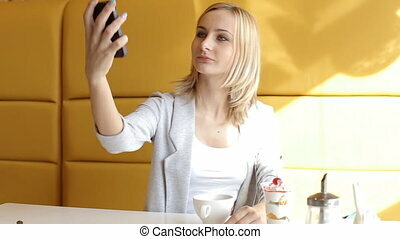 Young beautiful girl makes selfie in a cafe. 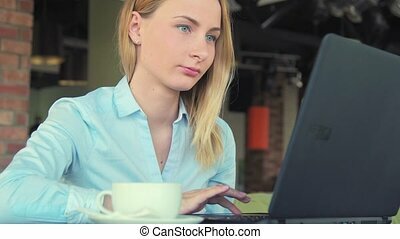 Young happy woman with laptop in the cafe. 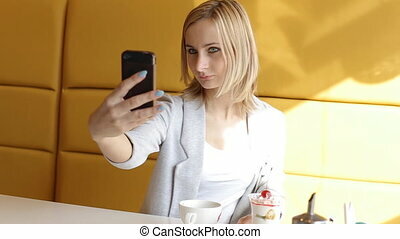 Young attractive woman with tablet computer sitting in cafe. 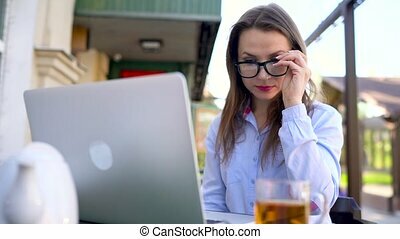 Young woman working on laptop in cafe. 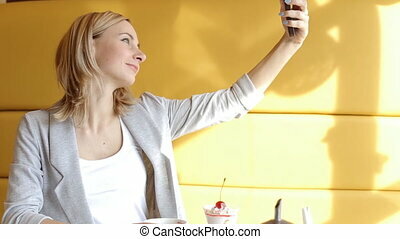 Happy young woman with smartphone in cafe. 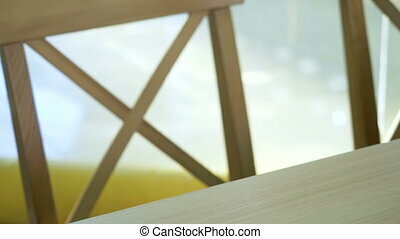 Young woman using laptop and drinking juice sitting in cafe.